Dr Susan Batley is a senior lecturer at the London Metropolitan University with teaching and research in the areas of organisation and retrieval of information and knowledge resources. Having completed a PhD on factors affecting the retrieval of information from picture databases in 1989, she worked as a subject librarian at the University of East London, before taking up her current post in 1996. 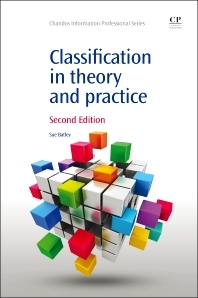 Dr Batley is the author of another Chandos book, Classification in Theory and Practice.